Over the years our clients have requested a longer lasting coasters that can be used as a gift item rather than one that is used in the bars and discarded; we came up with the cork backed coaster. 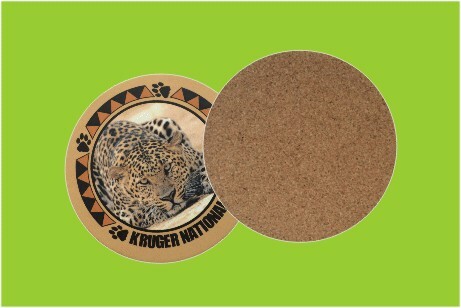 This coaster features a full-colour design which is printed, then laminated and placed onto a cork-backed coaster. The finished product is high quality and long lasting. The cork backed coaster is available in smaller volumes and the very nature of the printing and manufacturing process means the design is reproduced in all it's original glory. 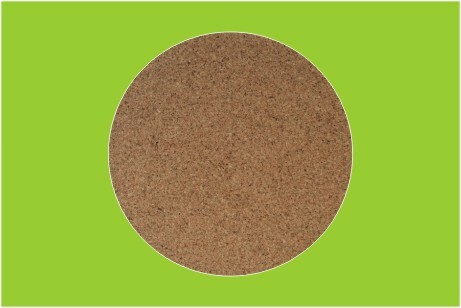 This coaster has a 0.8mm thick cork backing that is mounted to a chipboard and has a full colour print and laminate on the top. Our minimum quantity that we manufacture is 500 units and you can have different designs in that quantity. 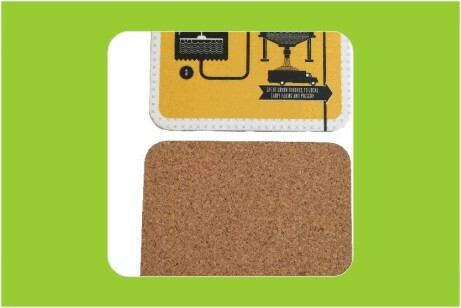 Our cork backed coasters have a cork base mounted onto a chipboard and then topped with a laminated full colour print. As with the beermat we offer a 95mm round or a 95mm square coaster with rounded corners. We can offer special shapes. 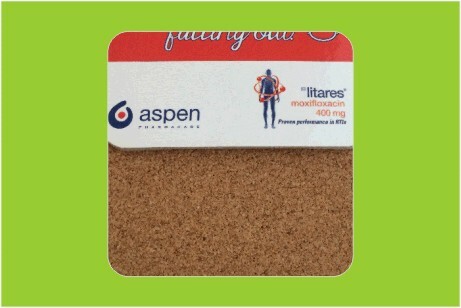 They have a cork backing onto chipboard and topped with up to a full colour print that is laminated with either a gloss or matt laminate. The coaster is approximately 2.5mm thick and has a wipe clean surface.